During the functional test the foraminfera was injected into the FlowCell for the very first time. The FlowCell will be home to them during the rocket experiment. On the one hand it is important that it is possible to measure and watch the experiment appropriately. On the other hand the FlowCell needs to be a safe environment for the foraminifera, that pleases them. This problem can be quite difficult to solve. We can only install one design of the experiment in the rocket – so it has to function. That‘s why the design of the FlowCell is crucial for the result of our experiment, so we are testing it carefully. Then she is injected into the FlowCell. The foraminifera is in the FlowCell! The foraminifera is injected into the FlowCell with a technique that was developed for this purpose only. You can see on the video how she gets into her new home. The measurements can start now! To control whether she is doing well, we are measuring the oxygen in the water amongst other things. The oxygen is the product of photosynthesis of seaweeds, that are living in the water, too. A foraminifera needs this oxygen to survive. 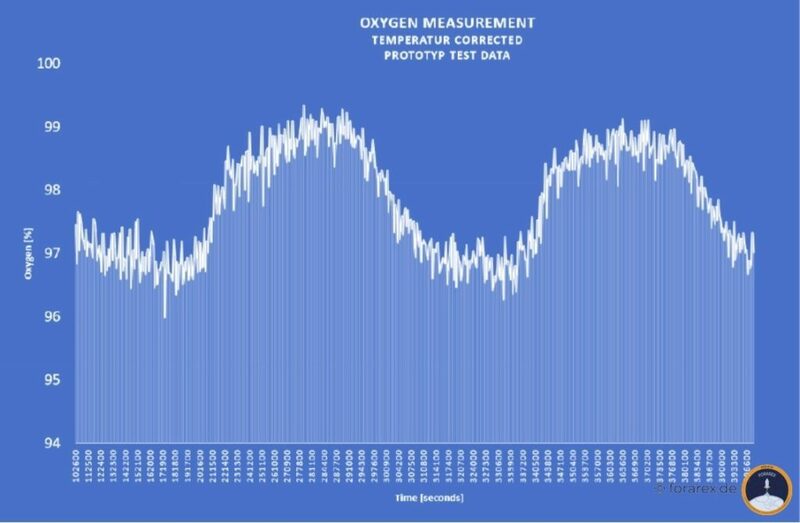 As you can see in the measurement results, the content of oxygen decreases during night time. This is not worrying though – at night there is no light, so the seaweeds just stop doing photosynthesis. Consequently the data is a good sign for us – it means that the foraminifera has oxygen to survive in the FlowCell. 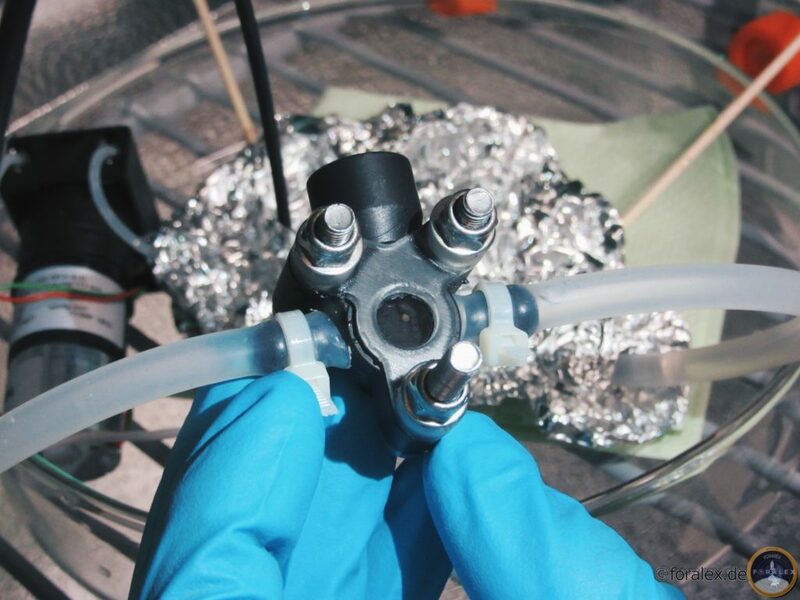 The only problem during the functional test was the leaky reservoir for circulation of water, which is necessary to distribute oxygen in the water evenly. Due to that a new prototype will be printed in 3D. The important thing is: the foraminifera survived, so the functional test was a success!